The Supreme Court says Aereo is distributing copyrighted material, but there is demand for their service. The Supreme Court has ruled against Aereo, a company that stores local, over-the-air TV broadcasts then streams then on the Internet. The Court ruled that Aereo was retransmitting copyrighted material without permission. 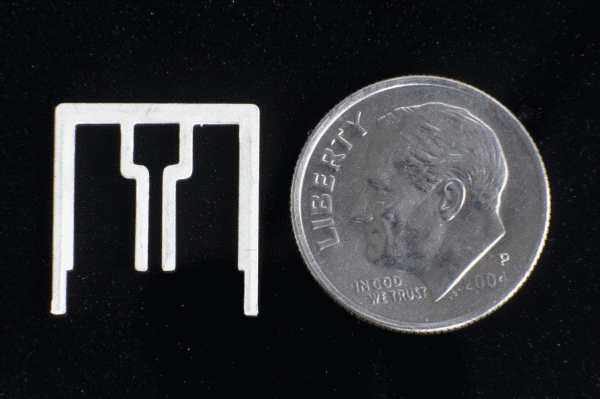 Aereo deployed arrays of dime-sized antennae and claimed that they were merely leasing a speciic antenna to each customer and delivering content that was received by the customer's personal antenna. The lower court case against Aereo challenged their technology claim -- questioning whether those dime-sized antennae were electronically independent. (If they were acting as a single, integrated antenna, Aereo would have been a clear copyright violator). 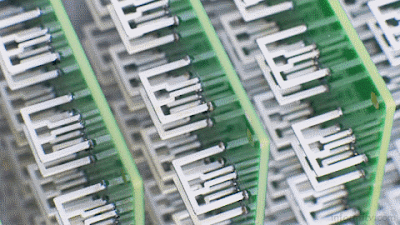 Expert witnesses on the technology were divided during the first case -- Aereo's expert said the antennae were independent and the TV station's expert disagreed. The Supreme Court decision did not depend on a technology argument -- they held that Aereo was not in the antenna leasing business but were sellers of subscriptions to watch copyrighted television programs. I am a cord cutter and was cheering for Aereo, even though I questioned their technology claim and regarded their system as a kludge designed to get around copyright law. What about the future of local TV? If those tiny antennae really worked independently, Aereo could sell them to end-users and let them receive local broadcasts over the air, but I suspect they either do not work as claimed or only work if they are located very close to the transmitting antenna. Regardless, the current Aereo business model is toast, but they have shown that there is a market for local content delivered over the Internet. If customers are willing to pay for streaming of local content (including ads), why don't the copyright holders offer the service themselves or hire Aereo to do it for them? I said that those dime-sized antennae seemed bogus to me -- that they could not truly be independent. Pete Putnam agrees and presents a detailed technical analysis supporting his conclusion that the antenna array would have to be within a couple hundred feet of the TV transmission tower for such small antennae to work independently. That is technical support for the broadcaster's assertion that Aereo was essentially doing the same thing as a cable company -- capturing and retransmitting copyrighted material -- but without paying the retransmission fees charged to cable companies. That raises the question -- how much are those retransmission fees? I went to the Dish Network Web site and found that "Local channels for non-qualifying packages are $6.00 per month." Dish evidently finds it profitable to pay the retransmission fees and charge customers $6 per month. They also offer "Superstaions" for $2 per month each. So, why doesn't Aereo or someone else go into the legal business of paying the retransmission fees, keeping track of the number of viewers for the sake of advertising sales, and offer local channels over the Internet? Aereo showed there was a market demand for such service. I've expressed doubt over the technical feasibility of Aereo's claim that they were renting independent TV antennas to their customers, but the Supreme Court ruled that even if that technology did work, Aereo was essentially acting as a cable company. I suggested that they had demonstrated a demand for local TV over the Internet and suggested that they pay the retransmission fees and become a "cable" company. But, the Copyright Office does not agree that they are a cable company, and, even if they are, the broadcasters might be able to force them to carry arbitrary bundles of channels like they do "real" cable companies. I am not a lawyer, but it seems Aereo is finished. There is demand for local TV streamed online -- will the broadcasters allow that to happen at any price? The Supreme Court decided that Aereo was a reseller of copyrighted material, not an antenna leaser, so ruled that they could not rebroadcast local, over the air TV signals. That shot them down ... for the time being. Aereo has demonstrated that there is demand for local TV over the Internet, and the FCC is now considering a proposal to treat online video services like cable and satellite TV providers. If that were the case, Aereo and others could pay the same sort of retransmission fee as Comcast, et al, and provide local scheduled programs over the Internet. Aereo and others could negotiate retransmission fees and be back in business. Aereo could also drop the technically questionable claim that they were leasing access to independent antennae.